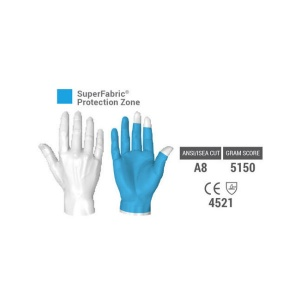 Ensuring that the right gloves are worn when carrying out precision work will help to protect the hands from potential injuries. 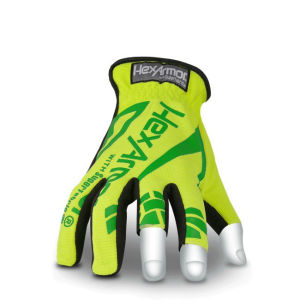 The HexArmor Chrome Series Core 4034 High Visibility Partially Fingerless Gloves feature a reliable grip and cut-resistant design ideal for situations where flexibility and dexterity are essential. The Chrome Series Core 4034 Gloves feature a synthetic leather palm with a SuperFabric brand materials interior layer for cut resistance. 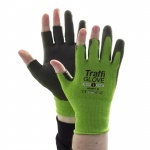 This will help to protect the hand against cuts, scratches, and punctures when handling sharp objects or carrying out work with craft tools. Dexterity does not need to be compromised for safety. The Chrome Series Core 4034 Gloves enable flexible movement, offering maximum usability when coupled with the quality wet- and dry-grip functionality. The index and middle fingers, as well as the thumb, feature a Partially Fingerless design, which will help improve operation by enabling more intricate and delicate movements. 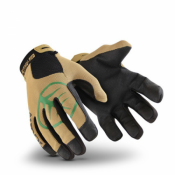 The Chrome Series Core 4034 Work Gloves are designed to fit securely to both improve dexterity and reduce the risks of injury as a result of ill-fitting workwear. 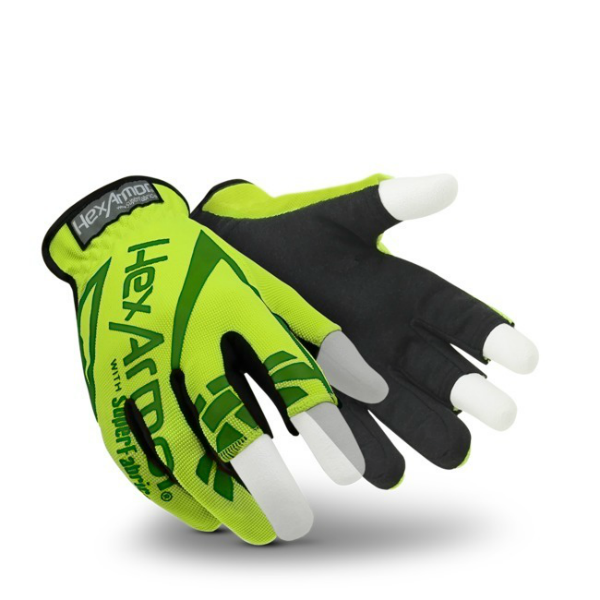 With a SlipFit cuff, the gloves offer reliable protection against risks of hand exposure while also being able to be worn and removed quickly in between tasks.